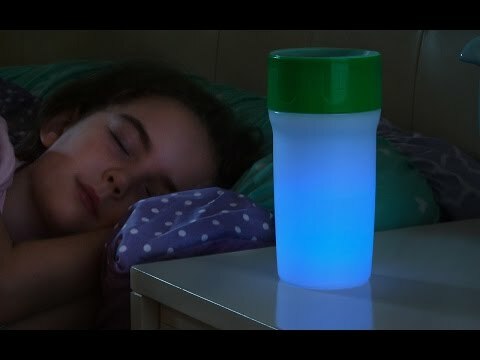 This spill-proof, light-up sippy cup makes the perfect bedside companion—kids and grownups can reach for a sip of water without any fumbling or mess. 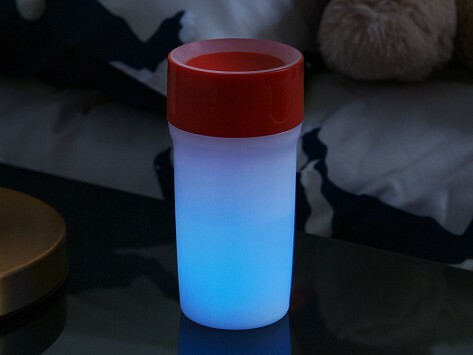 When the room is dark, the cup emits a soft glow to help you find it. But even if you knock it over, it won’t spill. Litecup has a 360 degree valve that lets you drink from anywhere around the rim. Be sure to draw the water out, kind of like you would on a sippy cup. When you’re done, the valve automatically shuts. I got this for the great granddaugher and she loves it, especially the nightlight part. I keep this cup in my room at night. It won’t spill if I upset it in the middle of the night. doesn't spill, glows softly, able to be taken apart for washing in the dishwasher. Grandkids love to take it camping. With this bedside companion, kids and grownups can rest happily hydrated.